Check the box if you want the PICkit 3 to provide power to the target circuit. 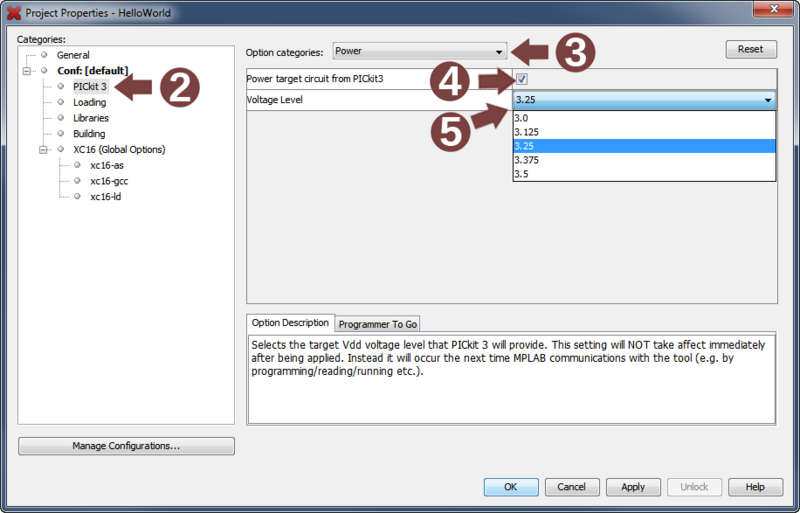 If you have chosen to power your target from the PICkit 3 above, select a voltage level from the list that the PICkit 3 should provide to the target. The PICkit 3 In-Circuit Debugger/Programmer is powered through its USB connection. The target board is powered from its own supply. Alternatively, the PICkit 3 can power it only if the target consumes less than 30 mA.